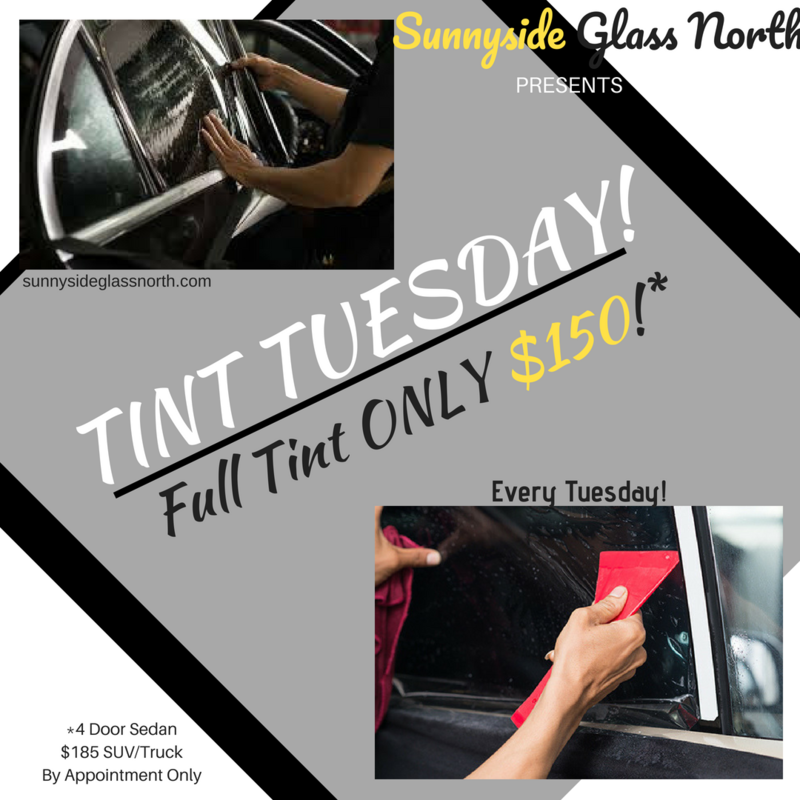 Every Tuesday of the month we offer professional full tint for only $150 for 4 door sedans. $185 for Trucks and SUV’s. 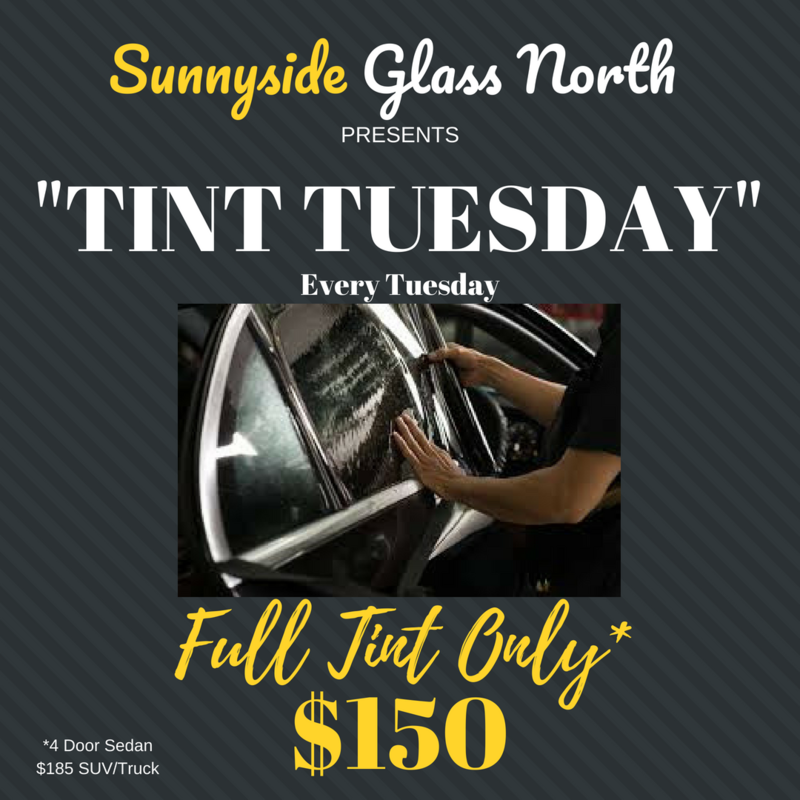 Join us this Tuesday for this amazing special and remember here at Sunnyside Glass North, We’ve Got Your Glass Covered!